Once you purchase your Christmas tree, it is wise to make a fresh cut at the end of the tree’s trunk. Place it in a bucket of warm water. This helps to keep the tree fresh from drying. What’s more, it eliminates anything that can block the tree from absorbing water. Keep the tree in a protected area from freezing temperatures and wind. Make another cut off the trunk and keep the tree in a cool place. You need to position the tree away from fireplaces, air ducts, and all other radiated sources. Always ensure the water level is above the trimmed trunk. Once you notice a dead pine, get rid of it. Add fresh water to your pot and keep it in a cool place. Mulching is one of the best ways to recycle your real Christmas tree. Make compost out of your tree’s needles or woodchips. Remember, mulching helps to keep your yard or garden trees moist and healthy especially during winter. Pine needles, for instance, are laden with essential nutrients that help to maintain, balance and enhance the PH of your soil. Mulching also allows the soil to breathe more naturally without being getting compacted or dense. Birds love to hang on trees and you can hang different bird feeders in the tree for them near your house. A tree doesn’t have to be alive for birds to take over. Therefore, if you love to hear the sounds of birds chirping in the morning, make a bird sanctuary with your Christmas tree. Use bird feeders to attract critters to feed and nest in the tree branches. A real Christmas tree can also make an excellent and thriving fish reserve. This can be used in a nearby river or a fish pond. The weight of the tree will provide support and act as an anchor when you submerge it in water. As time passes by, algae will start to grow on the Christmas tree. Fish will feed on the algae and the tree will protect them from possible predators. 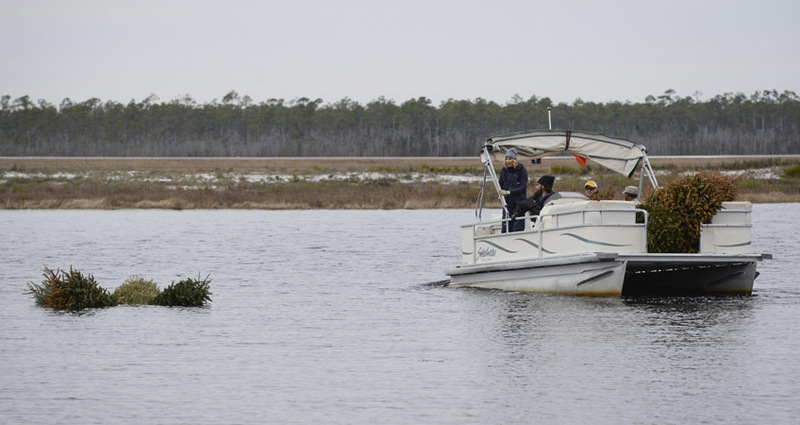 However, it is always imperative that you check with local authorities whether you can drop your real Christmas tree in a nearby pond or late. Real Christmas trees are often heavy sap trees. This means you can use old sap to make firewood for your campfires at home or during any other outdoor event. Remember, sap is highly flammable and the build-up of creosote in the sap makes them excellent for outdoors. They burn fast and hot hence, ideal for campfires or bonfires. After a bonfire, you can use the ashes to make your garden more fertile. Wood ash has lime and potassium among other essential nutrients that help plants to thrive. Therefore, make compost out of the ashes and start reaping the benefits of a fertile garden. 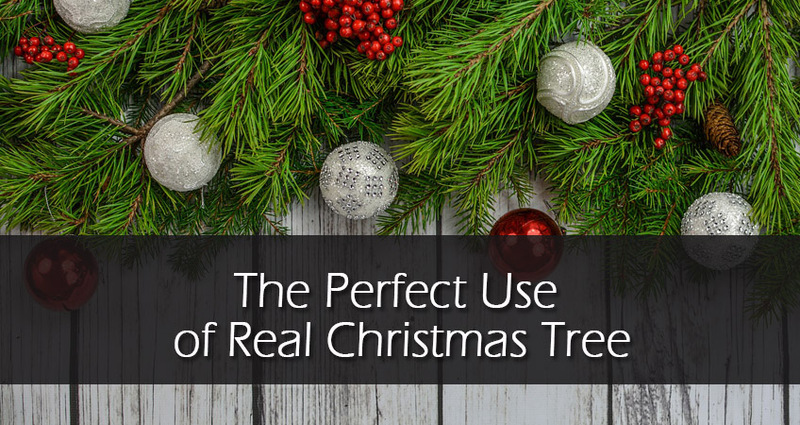 It is wise to note that coal ash and wood ash do not provide the same benefits compared to that of a Christmas tree. Looking for Tree Surgeon Essex? 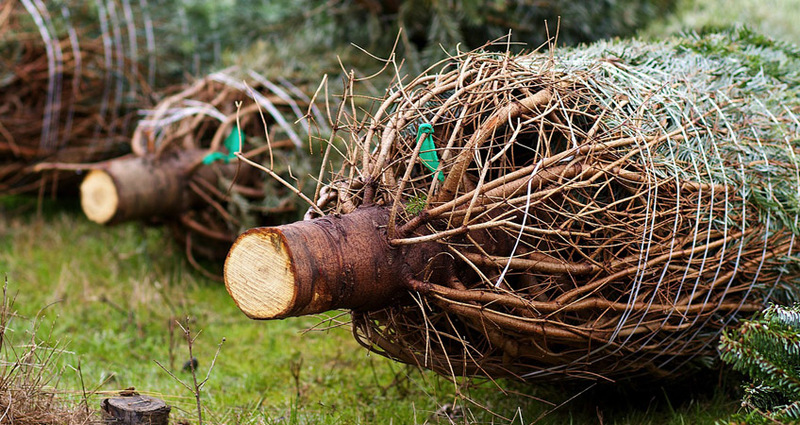 Instead of throwing away your Christmas tree, you can cut off the branches, and beautifully lay them on your garden. The boughs are excellent in protecting your bed garden plants from harsh weather elements including spring thaws and winter freezes. This is usually an effective way of helping your plants to preserve temperatures to help them brave through cold seasons. The limbs of the tree are also good in maintaining a great garden edge. 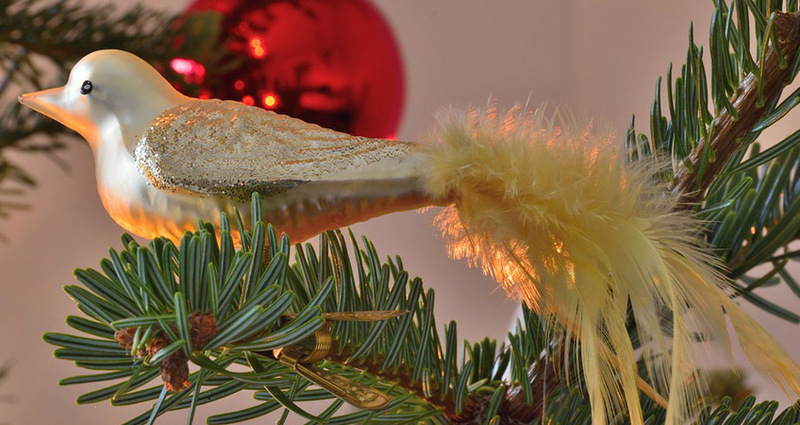 The needles of a Christmas tree are amazing home fresheners. If your tree is still green after Christmas. Store or wrap the tree or strips in a paper bag sachet. This will help to maintain the freshness of the needles and the scent of the tree keeping your home smelling fresh. The trunk of a real Christmas tree can make beautiful wood coasters. Generally, they are beautiful and attractive and they protect your table from water and spill damages. However, you need to let the tree to dry completely before you start cutting the trunk. This is important as it allows you to cut beautiful coasters. Apart from wood coasters, you can also make branch candlesticks. Make beautiful tea light logs. Create a wood slice clock and wall arts. Make do it yourself toys for children. Design beautiful ornaments including Christmas ornaments, necklaces. Christmas tree branches and truck can also be used by art and woodwork lovers to make different items including beautiful birdhouses, paperweights, Christmas reindeer and family portraits. Goats love to eat just about anything. Instead of throwing away your Christmas tree, give it to your goats or a neighbor’s goats to chow it down. If you cannot find any goats in your neighborhood, you can look for Christmas tree recycling programs that rent out goats for control of weeds. Such programs and companies collect a lot of Christmas trees in weeks. Keep in mind that Christmas trees are rich in nutrients and they provide ample minerals as well as vitamins for goats. 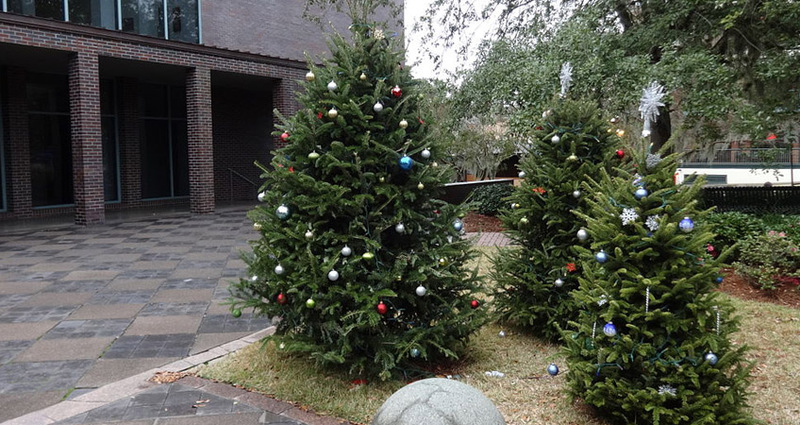 In places that are likely to be hit by Hurricanes, Christmas trees are very important. They help to save beaches that house different animal species. Donate your Christmas tree to charities and Fish and Wildlife organizations near you. They usually use the trees to erect fencing around the beach that trap windblown sand. The trees also protect dunes as they act in place of protective natural plant growth. Apart from lighting and brightening up your home during Christmas holiday, Christmas trees also can be used to make a home for the needy. Donate the tree to nonprofit organizations as they use the trees to make beautiful homes for those in need. Tall Christmas trees make beautiful homes that can house up to five families. After Christmas, you can also invite friends and family to a wood chipper party. Rent a wood chipper if you do not have one, chip the trip and let your loved ones have the chips. You will be surprised at how beautiful the site and sounds of Christmas tree chipper is. However, you should always maintain the best safety guidelines. A do it yourself needle potpourri is also an excellent way to ensure your Christmas tree doesn’t go to waste. Fill a large bowl with fallen needles or stems from the pine tree. Add orange rind, cinnamon stick and some lemon in the bowl. You may also want to include a nutmeg mixture and whole cloves to the mixture. Store the mixture in a jar or even wrap it beautifully with a newspaper. 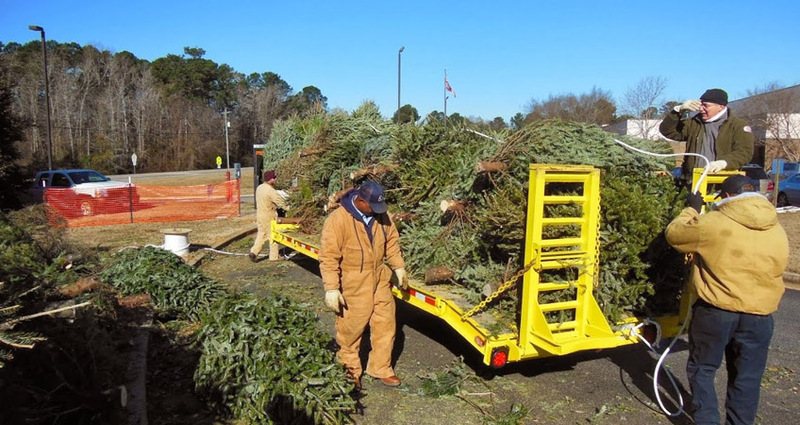 Today, there are many garden centers, community groups, and local authorities that recycle Christmas trees. In this case, you only need to keep your decorations, your pot or stand and leave the tree at the boundary of your compound or plot. You can also drop the tree at a nearby designated communal Christmas tree collection point. The authorities or garden centers usually shred the trees into chips that are used in woodland areas and in parks. If you love your Christmas tree so much and you cannot bear the thought of losing it, you can also replant it. This is an ideal way to keep your tree alive and to ensure your garden remains beautiful. It is also a way of cutting down on your Christmas expenses because you will not have to purchase another tree during the next holiday. A point to note is that a Christmas tree can regrow only if you preserve its root ball. Therefore, during your purchase, always keep the root ball intact and keep it fresh until the day you replant it. Similarly, ensure you maintain its dormancy state to enhance the chances of survival for the tree. You may also consider All Hoods for the recycling of your Christmas tree. This is a replacement car hoods company that can design exceptional products from the tree.